One workers comp insurance adjuster takes a recorded statement from an injured worker and then won't give him a copy. Another tells a man hurt at work that he can't get benefits because his employer (the adjuster's client) made a mistake on a form and "you can't amend a legal form." Both are taking advantage of injured workers. In the last 24 hours I've received two inquiries from people hurt at work who have had their workers comp claims denied. Insurance companies are in business for their shareholders. Its a common misconception, but a workers comp insurance company has no duty to an injured worker - and they sure don't act like it, either. First of all, never give an adjuster a recorded statement. They will just use it to try to deny your claim. Fell off your bike and broke your arm when you were 12? And now you say you hurt your shoulder lifting a bag of concrete at work? Sounds suspicious...that's how they think. A statment will just deny or delay your case. And to top it off, some won't even give you a copy of the statement (their questions and your answers) at least until you litigate the case against them. And an adjuster telling someone who was hurt on the job that they couldn't amend a legal form to correct a mistake someone else (not the one hurt at work) made? Not true. Not even close. 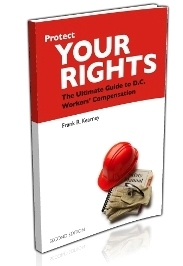 As I say over and over (and wrote a book with the same title): Protect Your Rights. 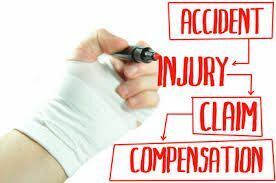 The adjuster and nurse case manager, vocational counselor - they all work for the insurance company and their duty is to the insurance company, not the injured worker.